Fourth in a series of Fishing Presidents. 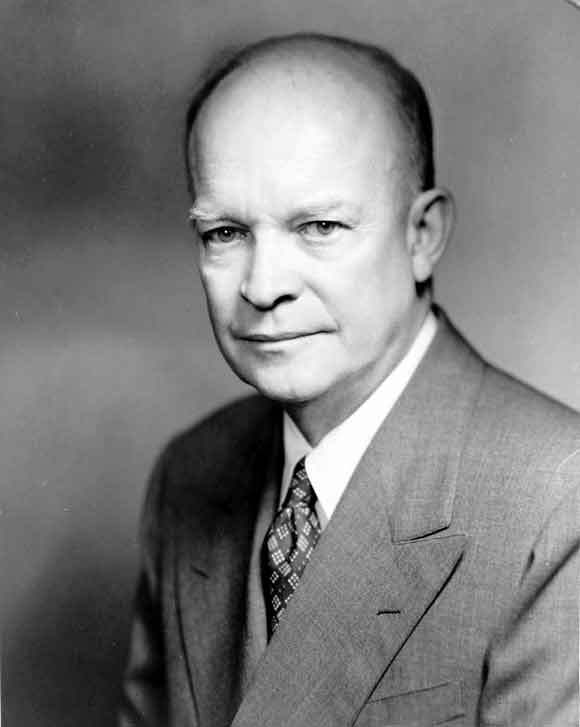 Today, Dwight D. Eisenhower. Fishing was among President Dwight D. Eisenhower's favorite hobbies. 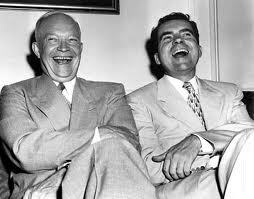 Seems he fished about as often as he played golf, the sport many associate with Ike. Still, there are numerous accounts of Eisenhower fishing, golfing, painting and, interestingly, cooking while he was in office. For relaxation, fishing is hard to beat. Yet for Eisenhower, even a day on the water wasn't always a total escape from the harsh realities of life. Just ask former national spin-casting champion Neal Taylor, who once shared with me a story about he and Ike fishing on a river in 1960. "I was scared to death," Taylor had recalled. "But five minutes after I met the man, I felt like I knew him forever. It was an incredible experience for me." As they fished, Eisenhower suddenly stopped and waded over to the bank of the river and sat down. His elbow rested on his knee, his head in his hand. Taylor thought he was ill.
"Ike, what's wrong?" Taylor asked. Eisenhower shook his head, looked up at Taylor and said, "Neal, there's not a day that goes by that I don't think about the men that lost their lives in Normandy." 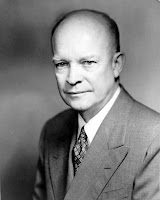 Eisenhower, of course, was the supreme commander of the Allied Forces in Europe and responsible for planning and supervising the invasion of France and Germany in World War II. 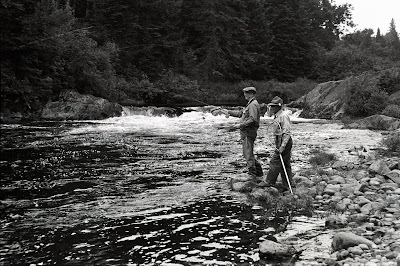 On a lighter note, Eisenhower once tried to teach his vice-presidential running mate Richard Nixon how to cast with a fly rod. Nixon's first cast hooked a tree limb. Nixon's second cast hooked a tree limb. Nixon's third cast hooked a tree limb. Nixon's fourth cast hooked Eisenhower's shirt, at which point the lesson ended. Wrote Nixon in his book, "In the Arena": "I could see that he was disappointed because he loved fishing and could not understand why others did not like it as well as he did." Nixon also wrote, "Fishing just isn't my bag."